ABBA GOLD: SURVIVOR - ROUND 17, My my, how can I resist you? We continue our survivor for one of the biggest selling album of all times and also coincides with the buzz around Mamma Mia again. The rules are simple please vote for YOUR LEAST FAVOURITE and each week I will eliminate the song with the most votes until we have a winner. "Mamma Mia' was a UK number 1 in January 1976, knocking Bohemian Rhapsody off the top spot. 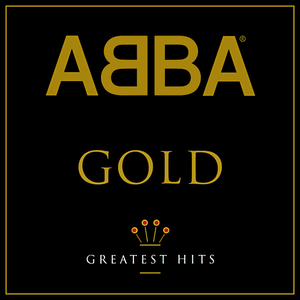 It was also number 1 when I was born so woo for ABBA! Arguably one of their signature tunes, and the inspiration for a huge musical and 2 films. Mamma Mia! at this only being 4th! “Take A Chance On Me” was voted out with 13 votes, ahead of "Lay All Your Love On Me" with 9 votes. Next was “The Winner Takes It All” on 8 votes and "Dancing Queen" on 5 votes. The voting will be open for about a week. Here we go again! Go on then, let's have a final two of their best song and their worst song. excuse me The Winner Takes It All is audio heaven - dare not disrespect it's majesty! Oh so I finally get to vote for Dancing Queen and you jump ship, unbelievable. You will vote your winner in the next round! Damn missed this by quite alot! Well Dancing Queen is my least fave out of those three, although all are total bops! The whole album is just stunning! I vote for The Winner Takes It All, though I knew it would go far. I'm more surprised that Lay All Your Love On Me is still here. Me too. Doubt it will beat Dancing Queen though, if it's between those two. Bré currently making the difference!